Daniel possesses excellent client skills and technical expertise. He has worked on projects in many different areas including institutional, education, performing arts and residential. His technical abilities allow him to quickly and clearly create design drawings, models, or three dimensional presentations, while his communication skills allow him to explain these concepts to the client to assist them in making design decisions. 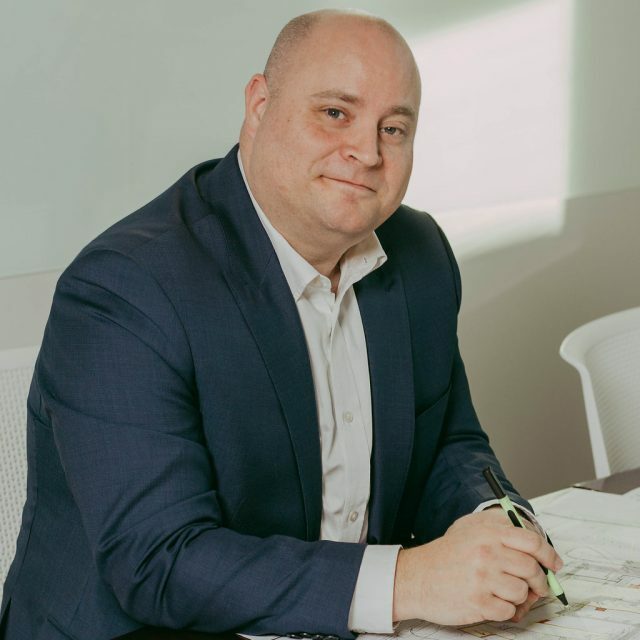 Daniel is well respected by clients as an architect with the ability to clearly listen and understand their specific requirements and complexities. His personable approach and friendly demeanor encourages collaborative discussion and creative design exchanges. He has an intuitive design sense that results in functional, yet creative solutions.